Want to connect with Steelhead? Steelhead Building Services is a 100% Canadian owned lower mainland based commercial and residential company that has been repairing,maintaining and renovating a variety of structures for over two decades. Our quality workmanship has earned us a reputation as one of the lower mainlands premiere property maintenance companies. 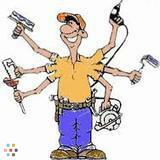 We specialize in general property maintenance,repairs and renovations. We are experts in repairing,renovating and maintaining your existing property. We mainly service South Delta, Ladner, Tsawwassen, White Rock , Richmond and North Delta but do work in other areas. Pressure washing,window cleaning,painting,tenant requests,emergency services and alot more ... we have done it all ! All of the above and more...We work with you and your clients to ensure the property is show ready,we make you and your clients look good.Lets work together ! Renovations,general maintenance, M&R , Installations....we have done it all ! Pressure washing,window cleaning,painting,tenant requests,emergency services and more ... we have done it all ! Wow... you name it we have done it in the restaurant industry,Reno's,installations,repairs,m&r,working with clients such as McDonald's Canada,Earls,Starbucks and many more clients we have learned wealth of knowledge and skills to assist you in running your properties.